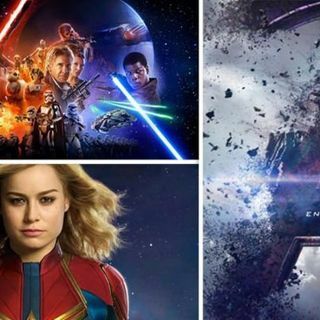 Explicit Our Most Anticipated Movies & TV Shows of 2019! In our follow up to last week’s “Best & Worst Of 2018”, Paul’s Jr & Sr look ahead and talk about their most anticipated movies, TV Series, and a few graphic novels, coming out in 2019! Avengers! Game of Thrones! Star Wars! And much more! Enjoy and thanks for listening!